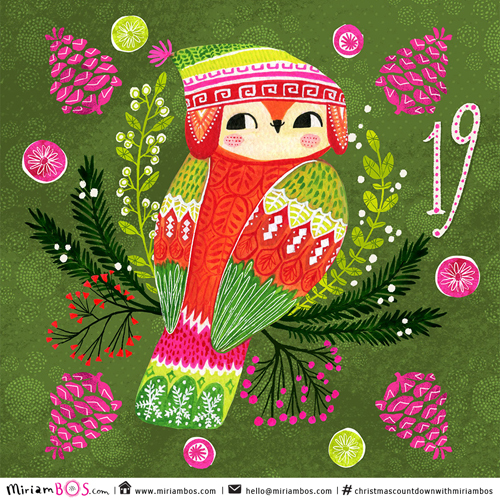 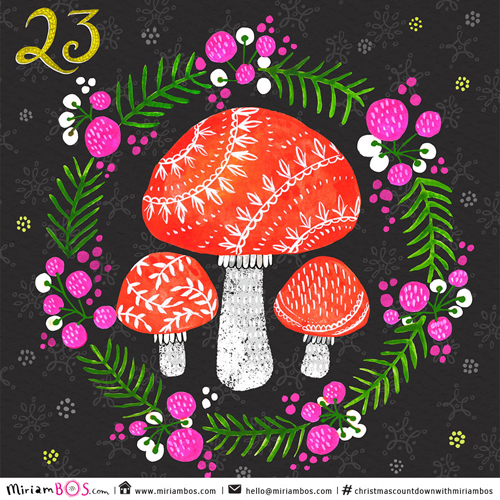 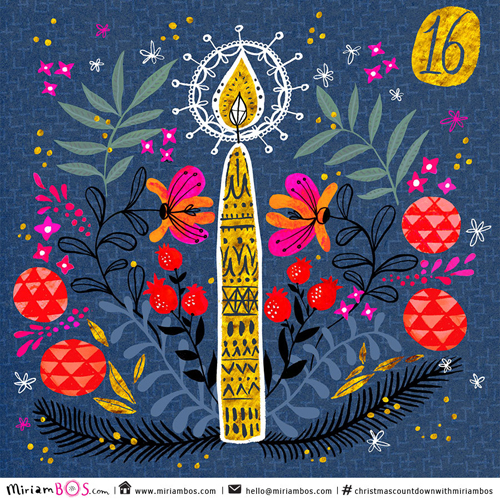 Designer Miriam Bos is counting down to Christmas by posting an illustration every day until the 25th of December that is festive or winter related. 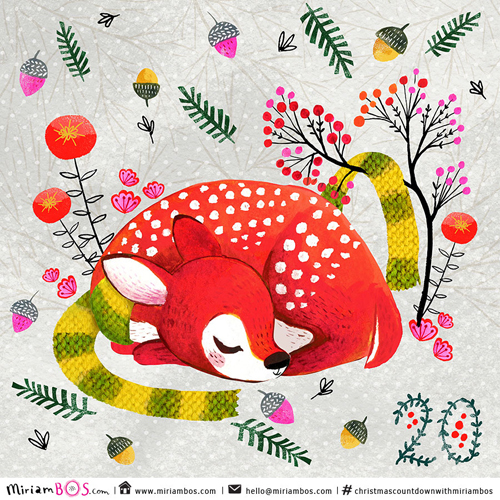 Miriam hopes to add a bit of cheerfulness and sweetness to people’s day during the cold December month and at the same time is building a portfolio for her first solo exhibition at Surtex 2016! All the designs have a touch of traditional water colouring combined with digital techniques. The countdown is happening here at Miriam's instagram. 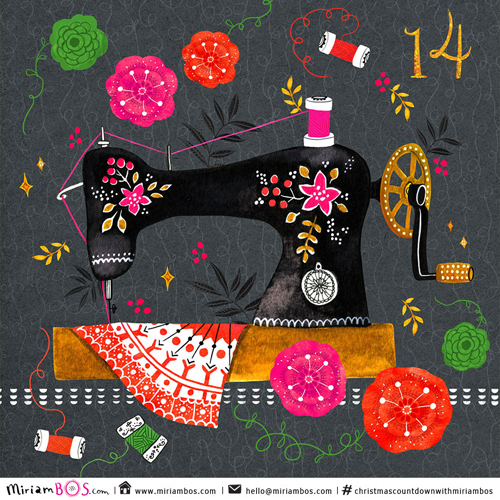 Miriam's illustrations have a touch of nice vintage style. They remind me of the European children's books from the 70's and 80's. 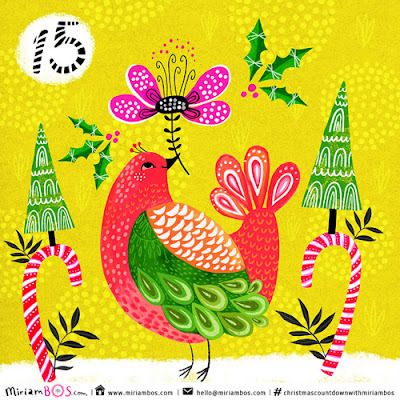 Thanks so much for including me in your blog Marie. 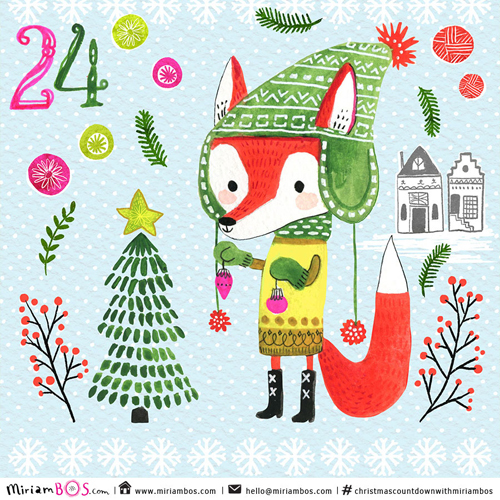 Enjoy your holidays!! And Thanks so much for your lovely comments here Judit and Stefanie.